Legislative Information Offices can deliver 50 words or less public opinion messages (POM) for you and give you updated bill information. Send E-mail to a member of the Alaska State Legislature by addressing a message to: Representative/Senator_FirstName_LastName@legis.state.ak.us. Telephone: Office of the Governor, 907-465-3500. 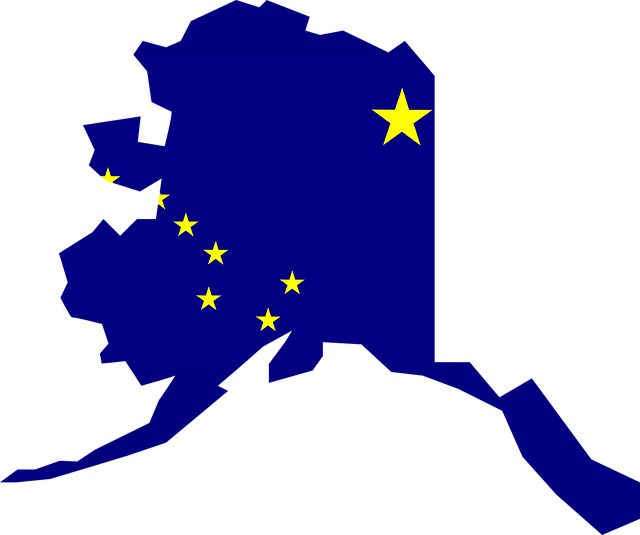 Alaska Citizens Workshop with every resource you’ll need to get up to speed on Alaska political issues. Project Vote-Smart! provides recent votes by lawmakers on 19 key issues that are litmus tests for many voters. They also have 1-888-VOTE-SMART or 1-800-622-SMAR(T). The Alaska Women’s Network (AWN) voted to disband as a non-profit in 2016. The WebGoddessWA (With Attitude) is continuing this site along the lines of information. I am working with other Alaska Women to provide better service to you. One goal is promotion on bloggers for current/real-time information. Thank you. I hope you enjoy the site. AWN does not take a political stand nor promote any type of business that produces a profit. At the discretion of the WebGoddess, information on special events will be posted. All information on the Alaska Women’s Network (AWN) website is published in good faith and for general information purpose only. AWN does not make any warranties about the completeness, reliability and accuracy of this information. Any action you take upon the information on our website is strictly at your own risk. AWN will not be liable for any losses and damages in connection with the use of our website. From our website, you can visit other websites by following hyperlinks to these sites. AWN strives to provide links to useful and ethical websites, we have no control over the content and nature of these sites and the links to other websites do not imply a recommendation for all the content found on these sites. E-mail comments or information to the WebGoddess. This entry was posted by the Webgoddess. There are a million of them, at least, but if you have a favorite women’s interest link, let us know and we’ll add it to this section! “Profiles in Change: NAMES, NOTES AND QUOTES FOR ALASKAN WOMEN” has now been digitized and is accessible through the Alaska Digital Archives website at Profiles in Change. We have Arlene Schmuland, Head, Archives & Special Collections at the UAA Consortium Library, to thank for this effort. The Alaska State Court Law Library serves the legal information needs of Alaskans by selecting, organizing and facilitating access to legal research resources and court system information. The main library collection and statewide administration is at the Anchorage law library, but library services are available to people throughout the state. Call the Anchorage Reference desk toll free at 888-282-2082. AlaskaGenWeb, a part of the USGenWeb Project. From the University of Alaska, this site is not specific to women, but it is a very interesting and enlightening Website. Our goal is to provide a site sharing inspiration, innovation, ingenuity and imagination of women living in the Great Land. Please notify AWH immediately of any copyright infringement or false information. No more searching, almost everything one needs is listed right here. AAUW promotes equity for all women and girls, lifelong education and positive social change. A gathering place for women and women’s organization who share a belief that the time is now to activate the incredible power of women’s wisdom on a planetary scale. Gather the Women is a place where new models of feminine collaboration are being born. Since our August GTW gathering in Racine, Wisconsin, I have been thinking about the value of ritual. From the very early days of Gather the Women, water has been used as a symbol for continuity. Each time we have our annual gathering, there is a water ceremony. Women bring water from home and pour it into a bowl on the altar that anchors our circle. They say a few brief words about where the water comes from. Some women have water from the very first GTW water ceremony. When the gathering ends, each woman takes water out of the bowl to take home with them and says a few words about how they are feeling. At our 2011 gathering, the water ritual took on even more meaning. After each of us had filled our small bottles with the Racine water, we drove to the shore of Lake Michigan with the remainder of the water. As darkness fell over our circle, Jean Reddemann led us in a ceremony to bless the water, then she handed the large bowl to me. She and I led our circle of women to the water. Jean was so close to me that I could feel her warmth. She said a few words, and I poured the water into that enormous lake as the waves lapped against us. It was dark by then and the darkness hid the tears in my eyes. They were tears of gratitude, fullness, and deep emotion. Ritual matters. It provides a depth and resonance that stays in our heart. Has been developed by the Feminist Institute of the Heinrich-Boell Foundation in Berlin. The mission is to connect women globally and build up an international forum for women’s issues discussed from many cultural, national and political perspectives. Includes GLOW-News, a source of information on worldwide conferences, workshops and events for women. GLOW-Ball Forum provides an interactive format, where women can discuss special issues internationally. A one-stop gateway for women seeking answers to critical health questions. “History looks different when the contributions of women are included.” The NWHP has a catalog of wonderful materials for teaching women’s history — posters, pamphlets, books, videos, etc. PASSION, POWER, PROGRESS. Located in Washington, D.C, NWPC is the mother of all Women’s Political Caucus chapters. Resources for Indigenous Cultures around the World. Here is an interesting website with a variety of news on the achievements of women in business, science, technology, etc. A great resource which includes films/video clips. Technorati is an internet search engine for the latest news, blogs, and web-happenings. WeatherSpark is a new type of weather website, with interactive weather graphs that allow you to pan and zoom through the entire history of any weather station on earth. Get multiple forecasts for the current location, overlaid on records and averages to put it all in context.